Who's wearing a dark cloak, dropping raw meat on a North Carolina playground? 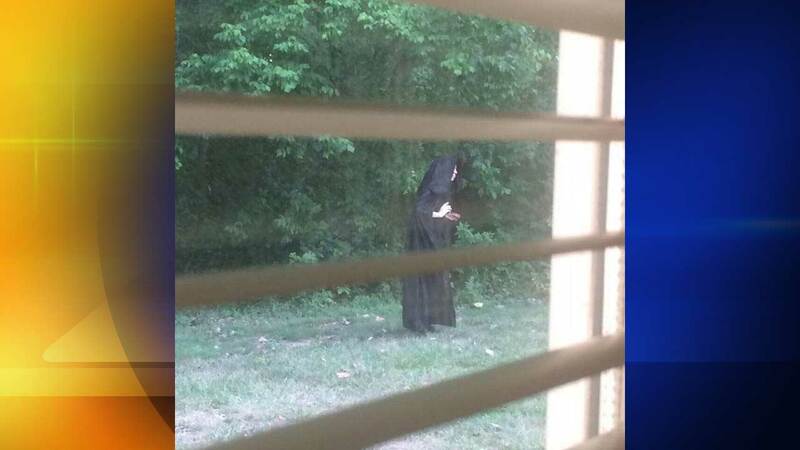 GASTONIA, NC -- A photo recently posted online apparently shows somebody in a dark cloak dropping raw meat on a North Carolina playground. But the Gaston Gazette reported that nobody knows much about the photo and even authorities and property owners are scratching their heads. The photo was originally uploaded to a Facebook group earlier this week and claims it happened at a playground near an apartment in Gastonia. It has since gone viral on social media. "We don't know if it's one of our residents with an interesting way of presenting themselves, or if it's a trespasser," Lance Calhoun, director of operations for Southwood Realty, told the paper. Read more at Fox 8 WGHP.